J.S. Bach, Mass in B minor, BWV 232 was performed by the Madison Bach Musicians in collaboration with the Madison Choral Project on Saturday evening, April 19th, 2014. The concert was held in the Atrium Auditorium of the First Unitarian Society, Madison http://fusmadison.org/ which is adjacent to the Unitarian Meeting House, designed by renowned architect Frank Lloyd Wright. 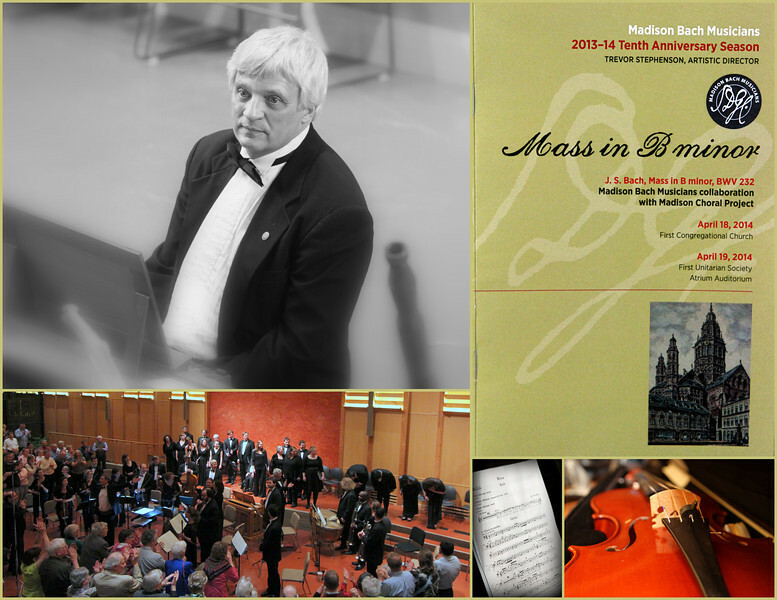 The Madison Bach Musicians 2013-2014 Season, with Trevor Stephenson, Artistic Director, marks their 10th Anniversary http://madisonbachmusicians.org/ with this concert being a standing room only performance. Here's an up close and personal look before, during, and after the performance of Bach's Mass in B minor.